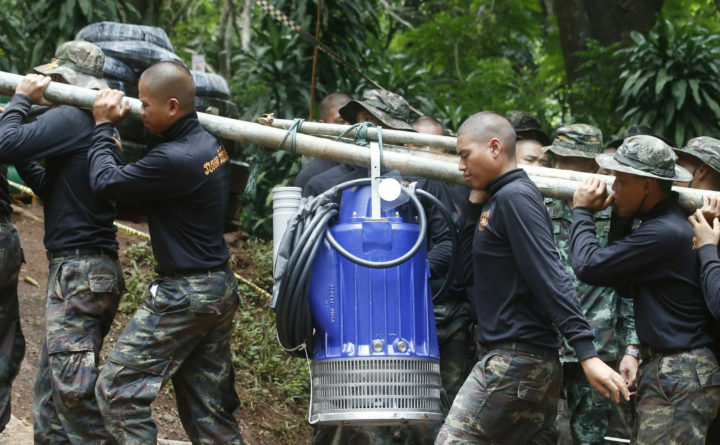 Soldiers carry a pump to help drain the rising flood water in a cave where 12 boys and their soccer coach have been trapped since June 23, in Mae Sai, Chiang Rai province, in northern Thailand Friday, July 6, 2018. Thai authorities are racing to pump out water from the flooded cave before more rains are forecast to hit the northern region. 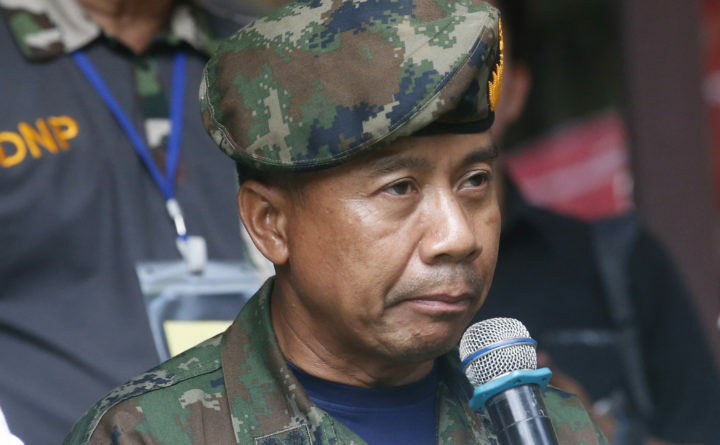 Thai SEALs commander Arpakorn Yookongkaew talks to reporters during a press conference in Mae Sai, Chiang Rai province, in northern Thailand Friday, July 6, 2018. 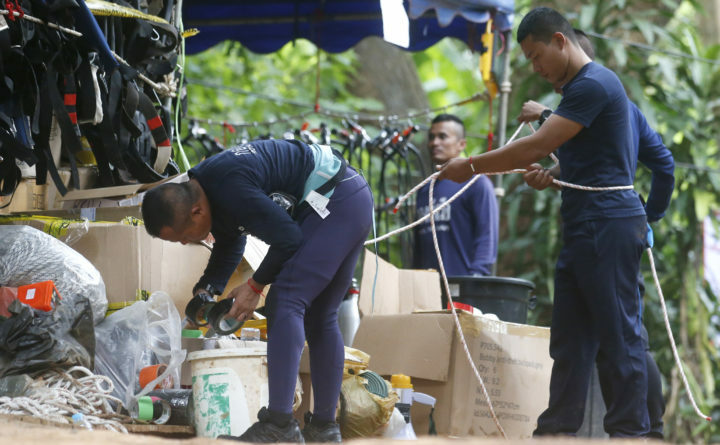 A Thai navy diver working as part of the effort to rescue 12 boys and their soccer coach trapped in a flooded cave died Friday from lack of oxygen, underscoring risks of extracting the team. MAE SAI, Thailand — Authorities in Thailand said Friday they will not immediately attempt an underwater evacuation of 12 schoolboys who have been trapped in a cave for almost two weeks because they have not learned adequate diving skills in the short time since searchers reached the area where they are sheltering.